Jessica Huie went from being a teenage mother, expelled from school and staying in a hostel to having a glittering career in public relations, founding two award-winning businesses and earning an MBE from the Queen. Throughout the course of a career that has spanned more than 20 years, she has worked with some of the world's biggest stars and business people, including Simon Cowell, Samuel L. Jackson, Mariah Carey and Meghan Markle. But there's more to her story than that. 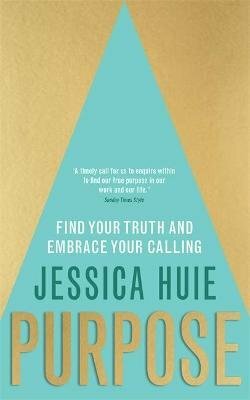 In Purpose, Jessica shares the lessons she learned as she went from being an individual who felt purposeless and unhappy, to someone who recognizes her complete power to design and create a successful, meaningful and limitless life built from an authentic foundation. Using the toolsJessica shares, you too will feel empowered to get unstuck, begin making real change in your own life and the lives of others, and live according to your own true PURPOSE.